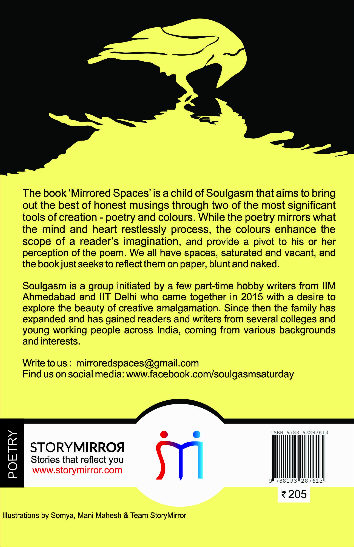 The book ‘Mirrored Spaces’ is a child of Soulgasm that aims to bring out the best of these honest musings through two of the most significant tools of creation - poetry and colours. While the poetry mirrors what the mind and heart restlessly process, the colours enhance the scope of a reader’s imagination, and provide a pivot to his or her perception of the poem. 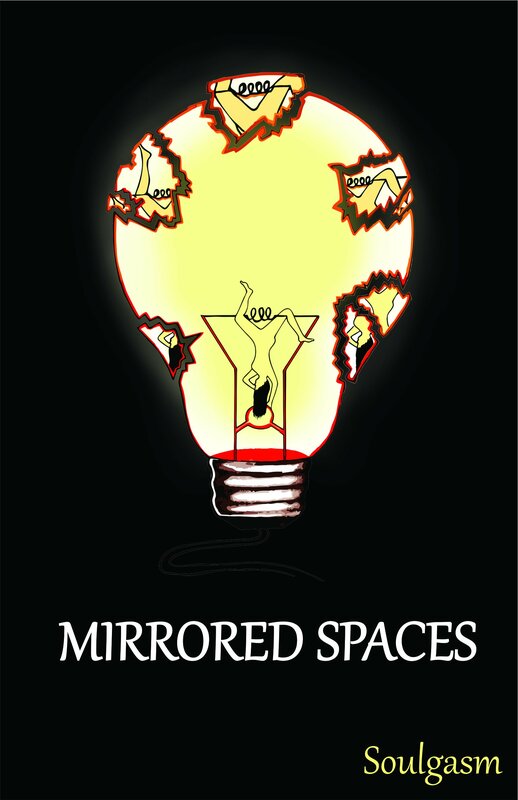 We all have spaces within, saturated and vacant, and the book just seeks to reflect them on paper, blunt and naked. In April 2015, a group of part-time hobby writers from IIM Ahmedabad and IIT Delhi came together with a desire to explore the beauty of creative amalgamation. The idea was to have an unbiased, honest, and unrestrained flow of thoughts and imagination on a single platform. And thus was born a weekly blog aptly named ‘Soulgasm’, representing the joy that writing brings to our very soul. Since then the family has expanded and has gained readers and writers from several colleges and young working people across India, coming from various backgrounds and interests.